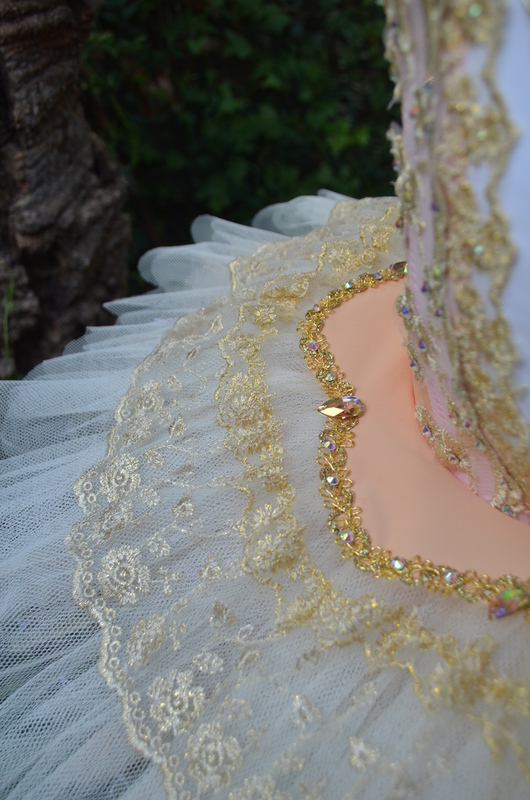 I found a beautiful corded lace earlier this year and couldn’t wait to use it on a RTW tutu. The lace and the velvet worked beautifully together and instead of the traditional white skirt I opted for powder blue. 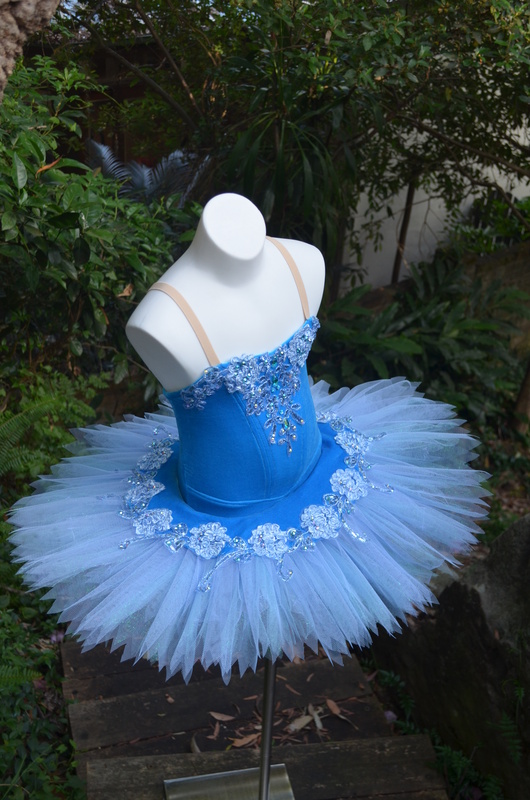 It was such a successful combination the tutu sold in a few hours. The lace was a lovely warm old gold with pretty champagne embroidery. I loaded it up with lots of blue stones and a few crystal AB rhinestones for little flashes of pink. There was plenty of scope with this trim for embellishment. Occasionally the dancers I make tutus for are very tiny. 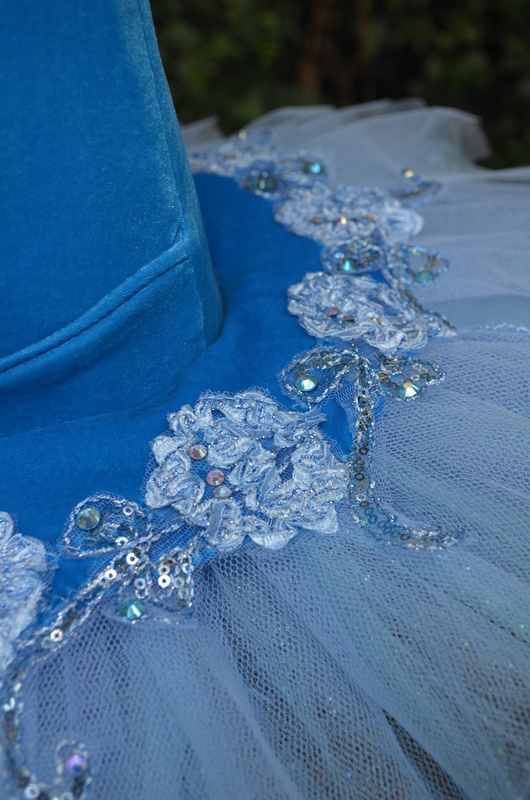 Here are 2 tutus both size 4; a tiny Aurora and a tiny Bluebird. 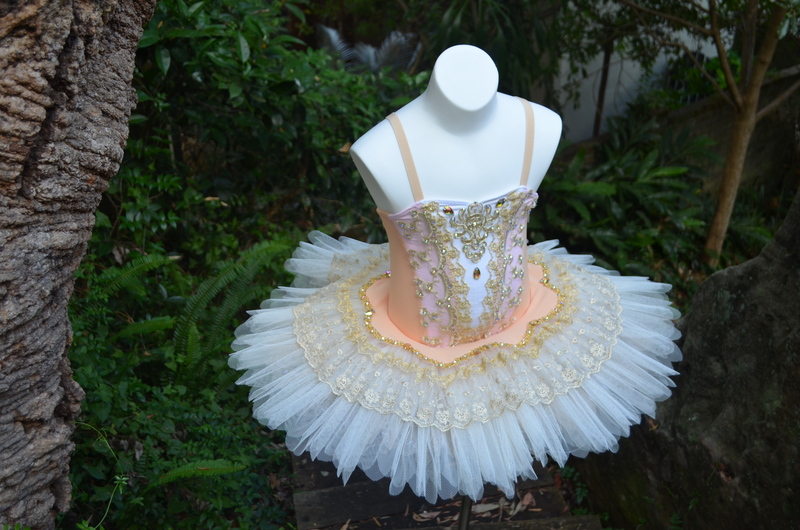 This little one has a Russian style bodice with an ivory centre panel, pink middle front panels and the rest of the bodice is a lovely soft apricot. 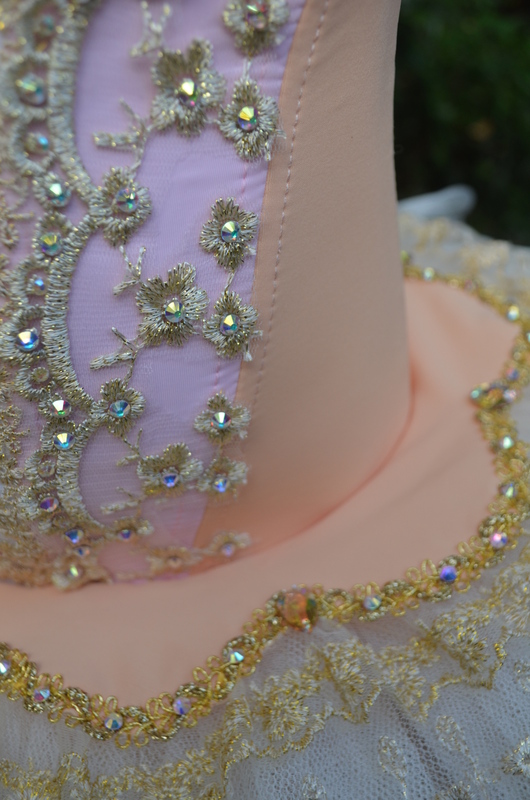 The overlay is 2 types of embroidered tulle sewn together with gold thread. The little blue bird has a hand dyed lace overlay. 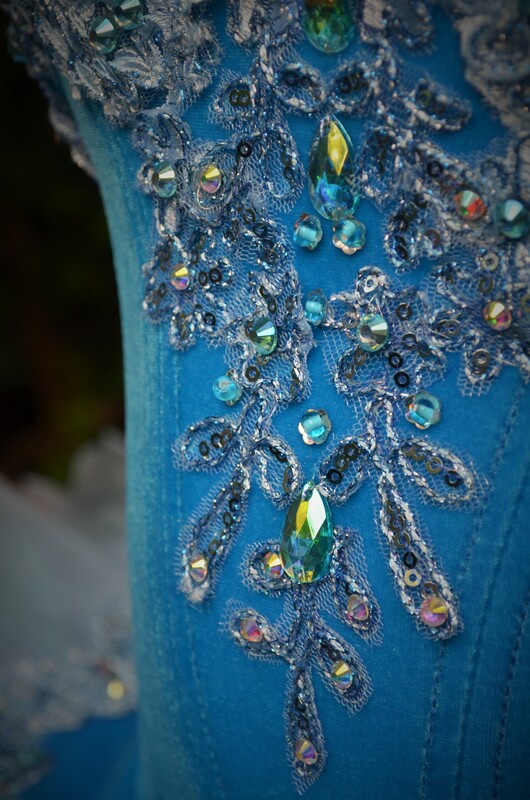 The corded lace motifs were cut from the lace and spangled with rhinestones before being sewn onto the bodice. Both of these tutus were so tiny they were only just big enough to fit onto my smallest mannequin.